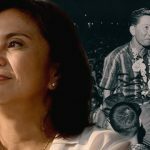 MANILA, Philippines – Vice President Leni Robredo “strongly opposes” President Rodrigo Duterte’s decision to transfer the remains of the late dictator Ferdinand Marcos from Ilocos Norte to the Libingan ng mga Bayani (Heroes’ Cemetery). “It is our responsibility to teach our children the heroism and sacrifice of our forefathers. And Mr. Marcos is no hero,” said Robredo in a statement on Monday, August 8. The Armed Forces of the Philippines (AFP) is now preparing for the transfer of the late strongman’s remains to the cemetery in Taguig City. A longtime friend of the President, former senator Marcos earlier bared that Duterte gave the go signal for his father’s burial at the Libingan. During the campaign period, Duterte promised to approve the burial, citing the late dictator’s military records during World War II. The National Historical Commission of the Philippines (NHCP), however, has released two pamphlets presenting facts that prove Marcos was not a war veteran. Last June, martial law victims laid stones at the gravesite supposedly reserved for Marcos at the Libingan. The stones were inscribed with names of those who were killed during the dictatorship. Amnesty International has estimated that over 70,000 people were imprisoned, 34,000 were tortured, and 3,240 were killed under the Marcos regime. 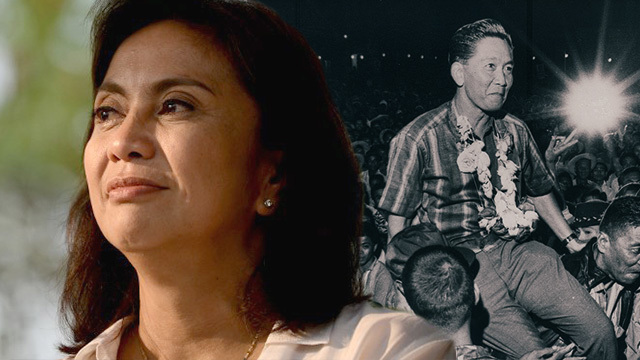 Robredo said the Marcos family has yet to admit that these atrocities happened.